'Rat Queens' has been sort of a mixed bag lately and perhaps it's the shuffling of artists or the current narrative, but something's been amiss. Whatever was lacking has been mostly resolved with issue 12 as our favorite team of maidens make their way to Mage University while fending off some serious trouble. A night of rest and imbibing, mostly imbibing, leads to a quiet evening until a Smidgen assassin targets a sleepy Betty. Luckily, a stumbling drunk Violet intervenes just in time to save her resulting in a hilarious, exciting and ultimately tender moment between Queens. The entire sequence is perfectly paced and laid out to maximize the danger, the humor and sweetness in the end. Tess Fowler has quickly made the characters her own while keeping the personalities we all know and love. Kurtis J. Wiebe touches on aspects of all the Queens and mostly succeeds to flesh out an emotional and tense cliffhanger by the end. Betty's backstory helps her development and Dee's interlude was beautifully rendered by Fowler but the transition out of it was jarring and awkward. The most impactful consequence of Hannah's return to her old stomping grounds was having to pay an old debt. It leads to some dire results that place our usually winning maidens in some terrible danger. Fowler and colorist Tamara Bonvillian have quickly found their groove giving the series a playful and moody atmosphere with greatly expressive characterizations. They deserve a permanent place as the art team from this point on. 'Rat Queens' has become a special property that inspires and influences a loyal fanbase. It's about empowerment and giving a diverse group of kickass women agency in a time in comics there isn't enough of it. Here's to hoping there'll be stability with this super talented creative team. 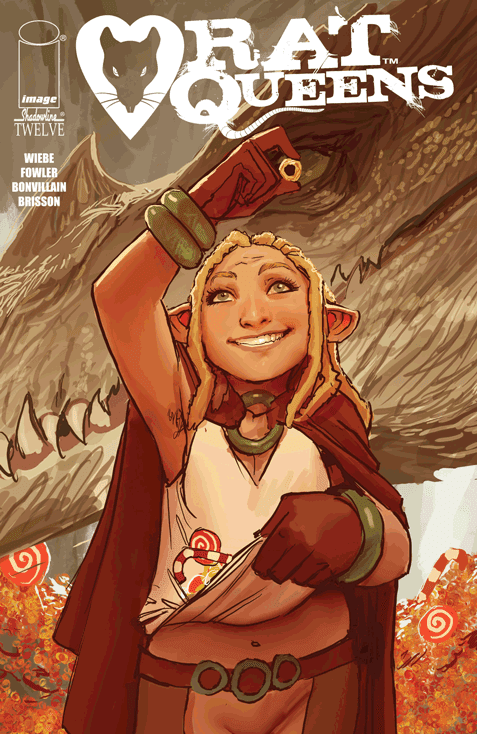 'Rat Queens' continues to evolve and find its footing after many creative changes. With issue 12 it may have found its equilibrium despite some stumbles.